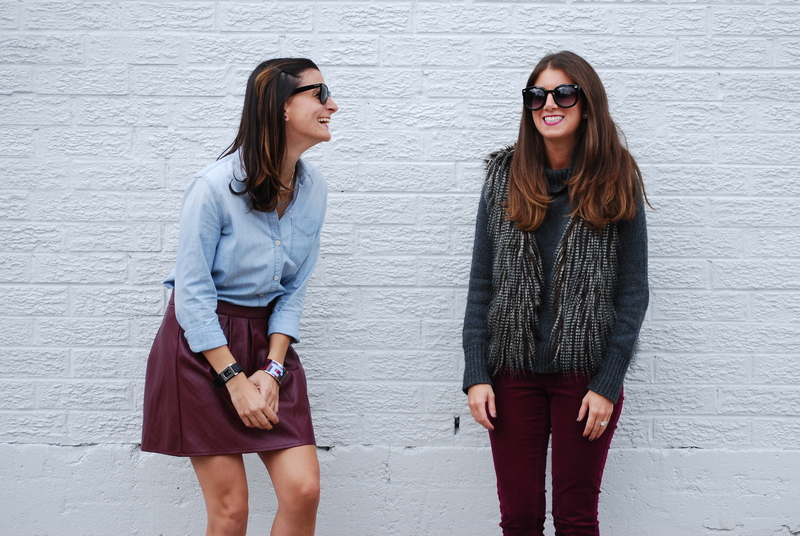 I’m so excited for my first blogger collaboration with Samantha of Gold Coast Girl Blog. 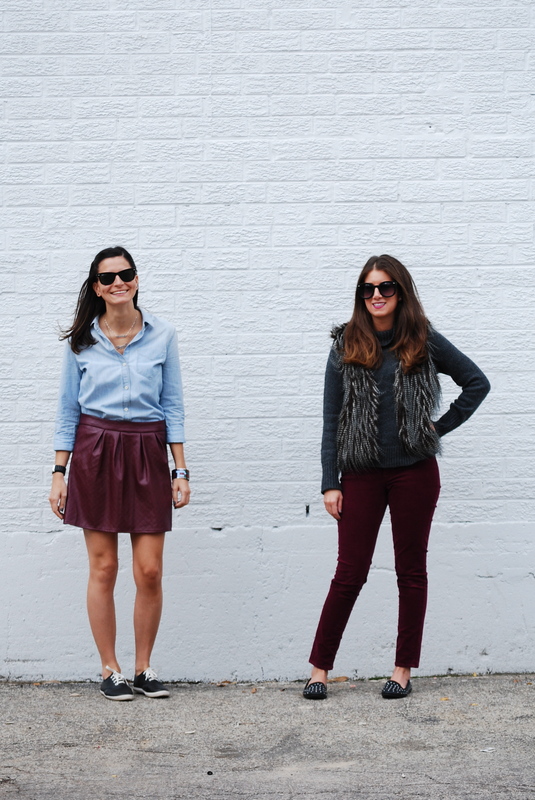 We’re sharing our love of faux leather and fur with burgundy; so faux fall right?! 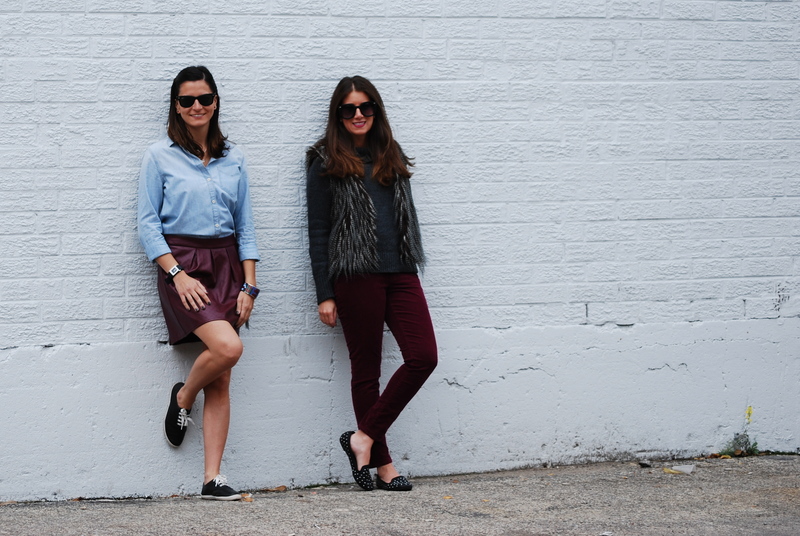 I first met Samantha at a Windy City Bloggers event last winter and I’m so happy that we met! Lately, we’ve been taking each other’s pictures, so it was only fitting that we do a two part collaboration. Oh, by the way, if you’ve noticed my extra-smily pictures it’s because I can’t stop laughing with this girl. Taking blogging pictures is definitely fun and really entertaining. 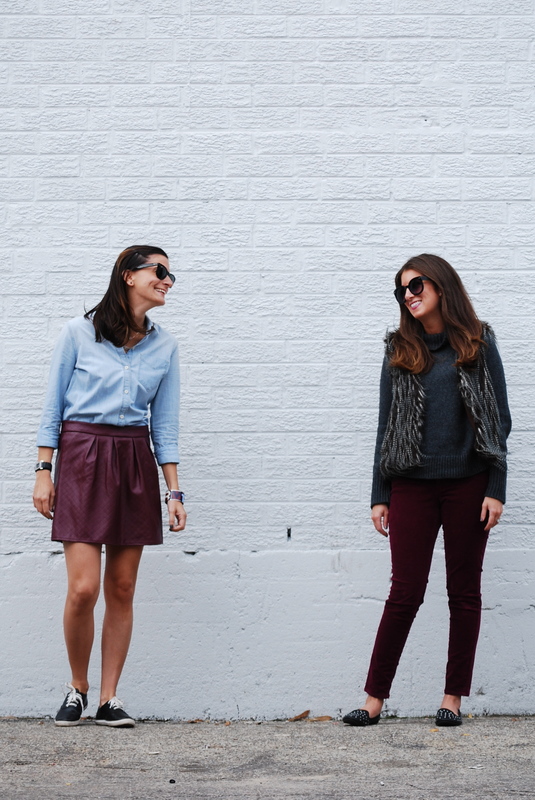 Back to Part I which features this season’s must-have color burgundy. You all know my feelings on the color, but it’s one of those dark, mysterious and passionate colors that screams fall. I’m loving Sam’s cords and obsessed with her studded flats and fur vest. I really love all the different textures and fabrics she put together making her look very sleek and sophisticated. Learn more about Samantha (below) and visit her blog for more pictures, fall inspiration and an interview with yours truly! I have always loved following style blogs so one day I just decided to start my own. I didn’t totally know what I was doing, but had a fashion message that needed to be heard. I love the creativity behind it all and the wonderful new friends I have made. 2. What is your go-to accessory? A bit of trendy, edgy and classic. I love all things black, hot pink, sequined and animal print. This fall I plan on experimenting with new styles and adding more patterns + colors to the mix. 4. What fall trends are your favorites? I am all about ponchos and capes. They are perfect for transitioning into fall and can really make a bold statement. 5. What is one trend you are ready to say goodbye to? Birkenstocks. Not a fan so adiós. I had so much fun shooting this collaboration with you!